Leading goal-scorer Armando Lashley making a move toward one of his goals on Sunday. 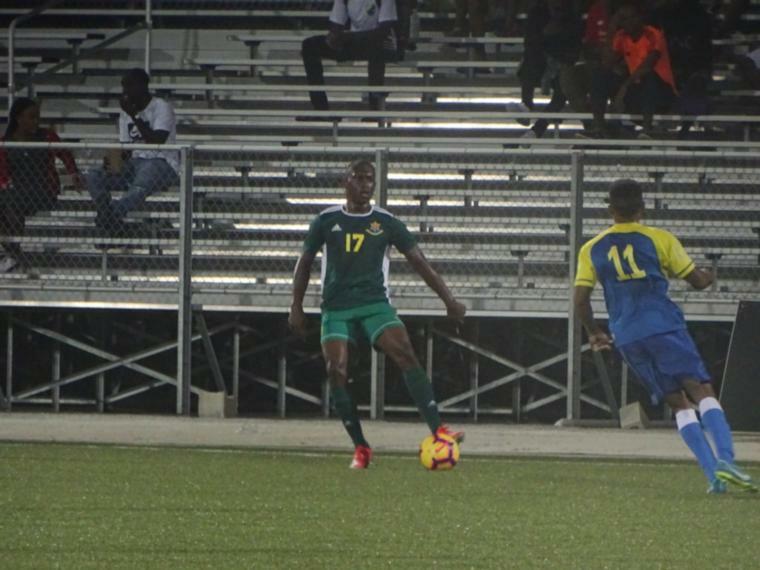 He scored four against Barbados Soccer Academy. 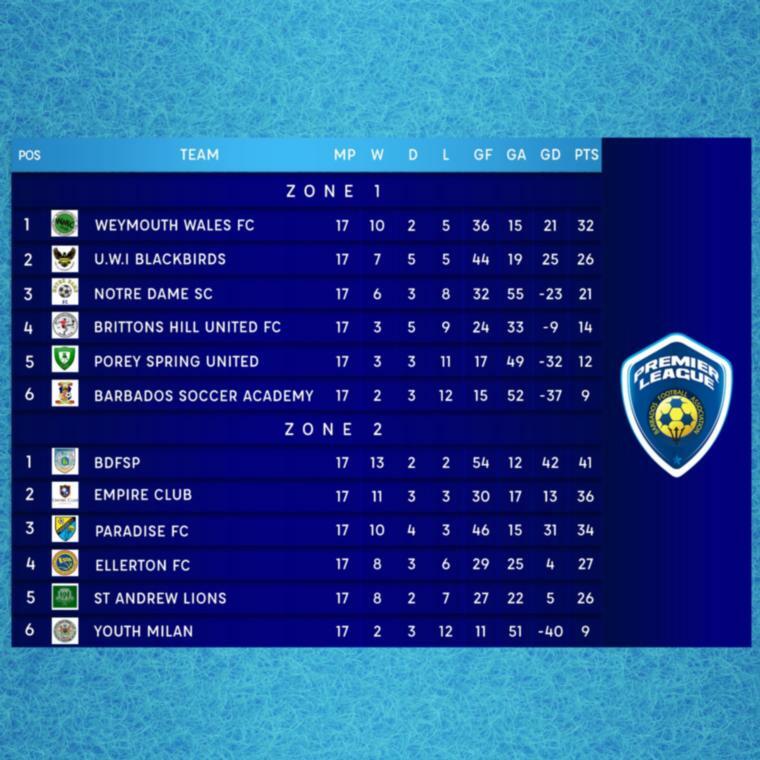 It rained goals this weekend when the Barbados Premier League continued at the Wildey Turf on Saturday and Sunday. With the end of the road in sight, some teams have put their foot on the accelerator while some others seem to be running out of steam as the final rounds wind down. At the end of six games, 30 goals had rocked the nets over the two days of play. 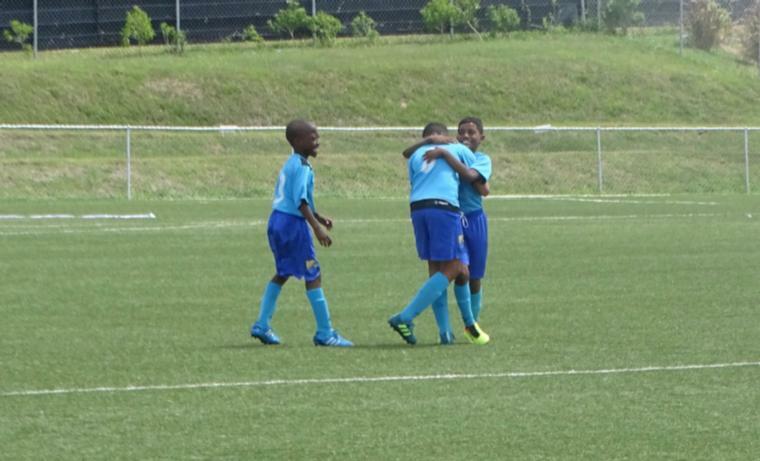 Paradise players celebrating their game-winner in the Under-11 Tier 2 final this past Saturday. It is finished! 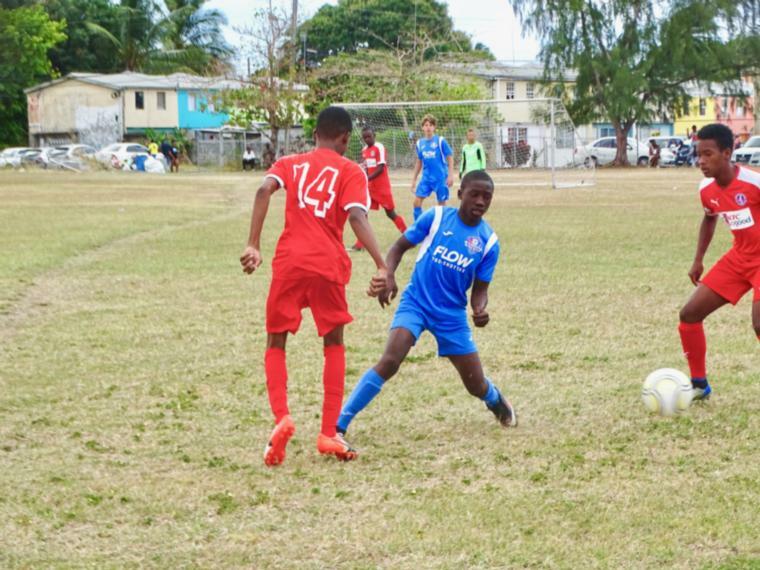 After running for the better part of 2019, the Barbados Football Association's National Youth Cup came to an end. With the champions in the Tier 1 competition being decided on the previous weekend, the top teams in Tier 2 took their titles this past Saturday at the Wildey Turf. West Coast and Kick Start Hot Shots hashing it out in the Under-9 semis. BDFSP's Rashawn Kellman looks for a pass as Notre Dame's Azarel Croney closes in on him. Mavericks Fire pulled off an exciting win over Pro Shottas Spurs in the Under-17 final. 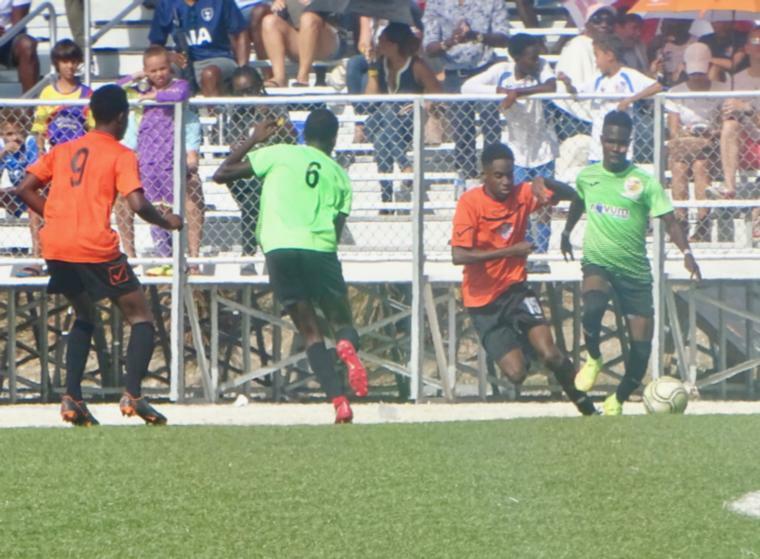 After weeks of waging war against their peers the champions have finally been decided in Tier 1 of the Barbados Football Association's National Youth Cup. 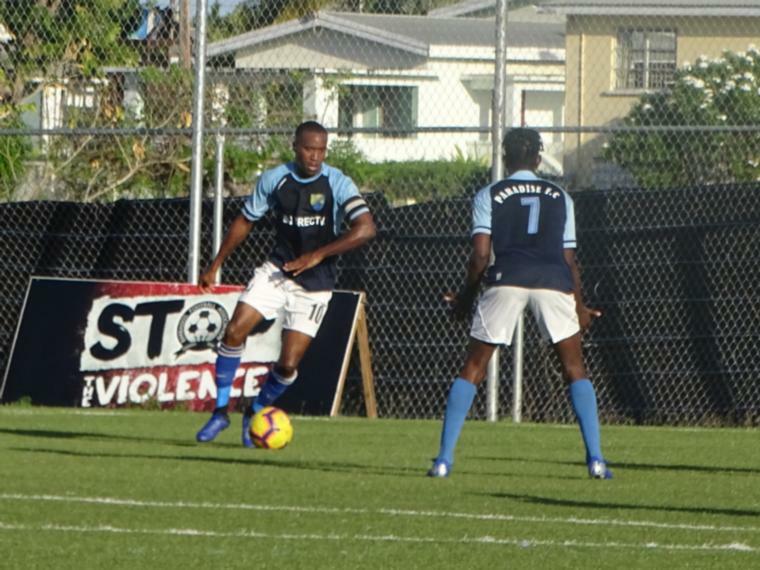 With the finale in Tier 2 set for next weekend, titles were claimed in exciting matches at the Wildey Turf on Saturday with the Pro Shottas United picking two of the five on offer. 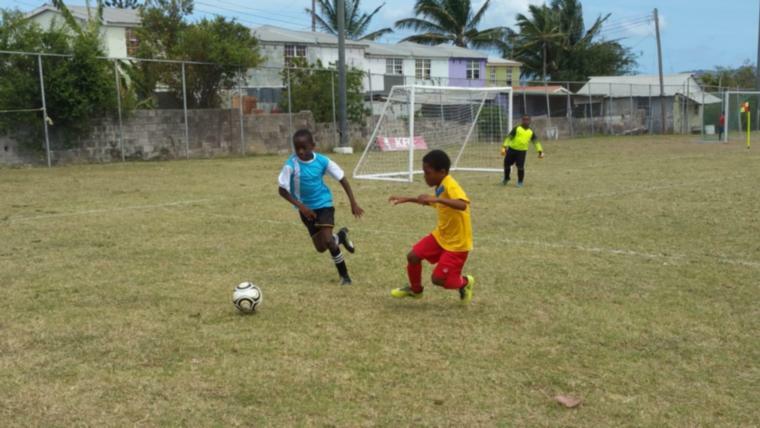 Some of the top clubs in the island will be converging on the Wildey Turf this coming Saturday as the curtain is set to come down on the first half of the Barbados Football Association's National Youth Cup. From as early as 8:30 AM, the champions of each division in Tier 1 will be decided after rivalries raged on for the past few weeks. 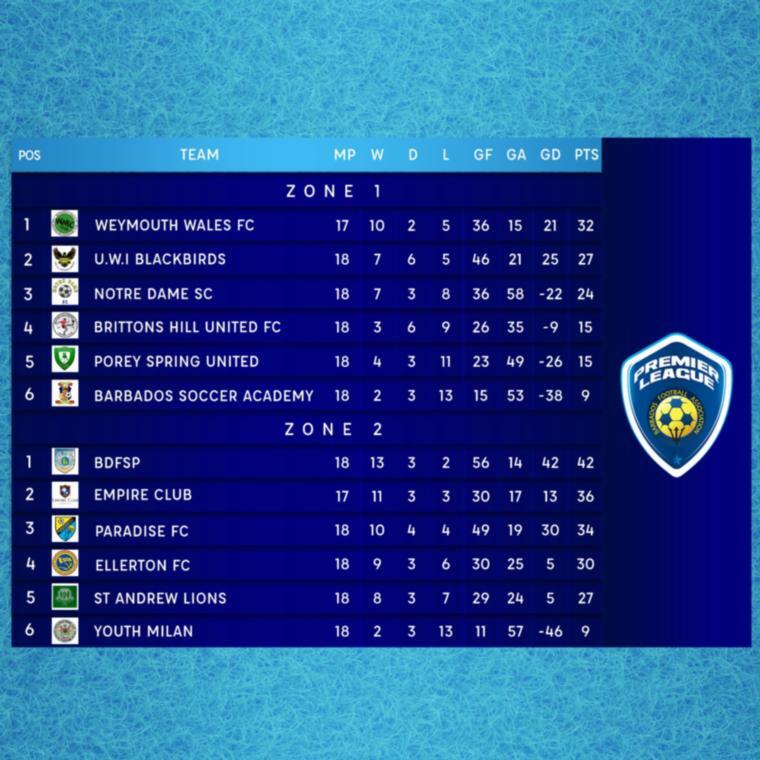 A fairytale comeback from three goals down was the highlight on Sunday in the Barbados Premier League as Clayton's Kola Tonic Notre Dame stole away a 4-3 win from Paradise FC. With the out-of-zone fixtures continuing at the Wildey Turf this weekend, Dames' victory was one of the biggest talking points. 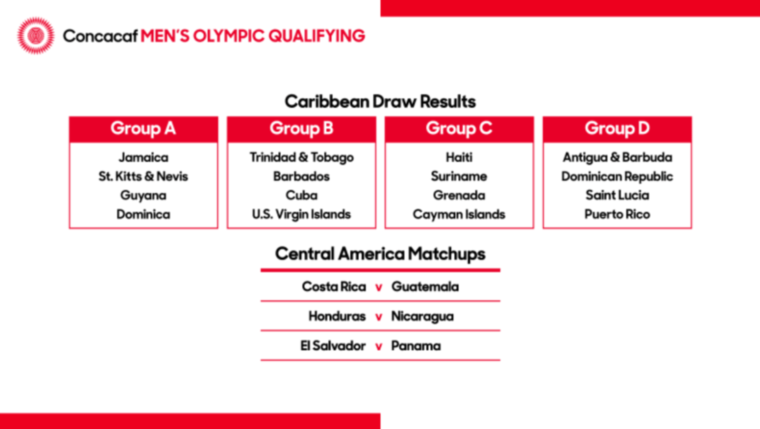 © Copyright Barbados Football Association 2019.